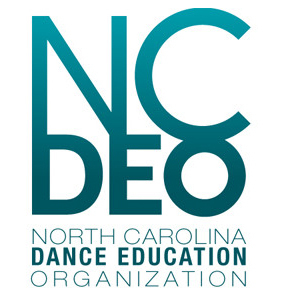 The mission of NCDEO is to support and advance dance education, to act and operate exclusively as a nonprofit corporation pursuant to the laws of the State of North Carolina, and to act and operate as a charitable organization in promoting the art form of dance as an essential educational component of life-long learning. Dr. Mila Parrish, Associate Professor, is the Director of Dance Education at the University of North Carolina Greensboro. She is internationally recognized for her work in dance pedagogy and educational technology. Mila has led over over 100 professional development courses, seminars and workshops thought the US and in Canada, China, Finland, Brazil, Greece, Denmark, Portugal and the Netherlands. 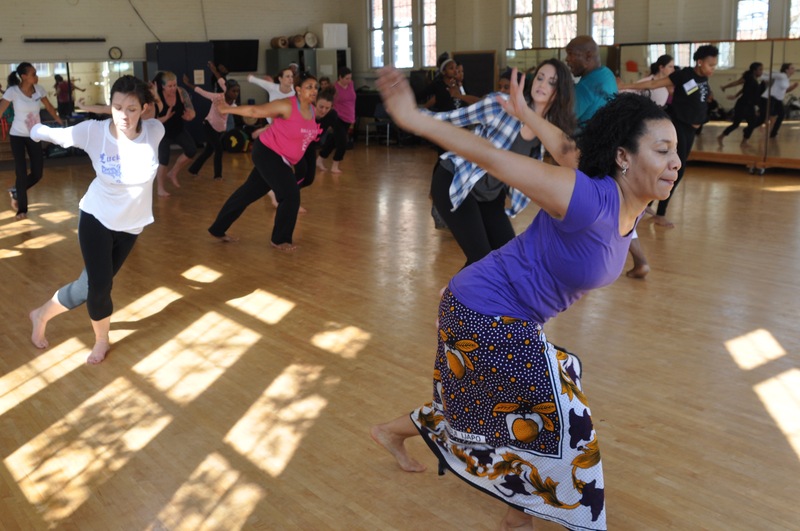 She has established numerous longstanding service and community engagement initiatives including Dancers Connect a free community dance program and dance pedagogy laboratory. In addition to serving as NCDEO’s founding President, she currently serves on the dance and the Child international (DaCi) board as Newsletter Editor. Dr. Parrish is the 2011 recipient of the SCDA Dance Advocacy Award, the 2012 Faculty Advisor Award from USC and the 2015 Leadership Award from NDEO for her community initiatives and scholarly work that has had a significant impact on the field of dance education. Kate Cummings is the Director of the Dance Program at Daniels Magnet Middle School in Raleigh. 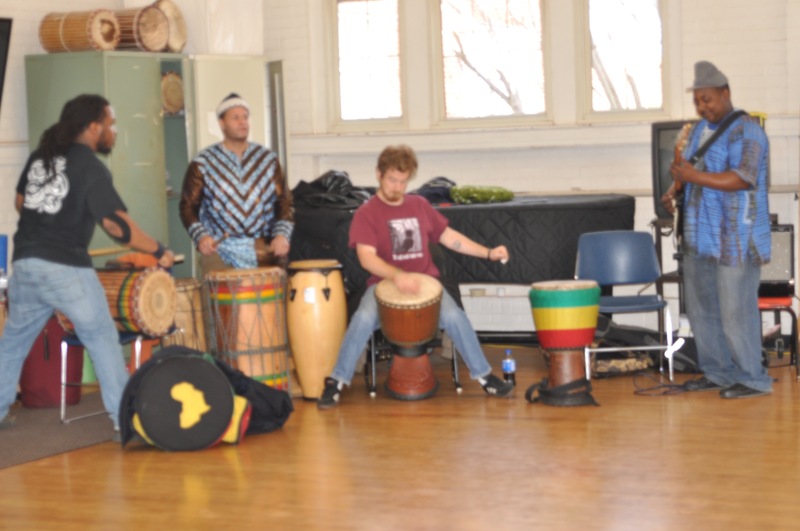 Previously she served as the Fine Arts Department Chair and founded the dance program at Millbrook Magnet High School. Cummings received a Bachelor of Fine Arts in Dance Education from East Carolina University. 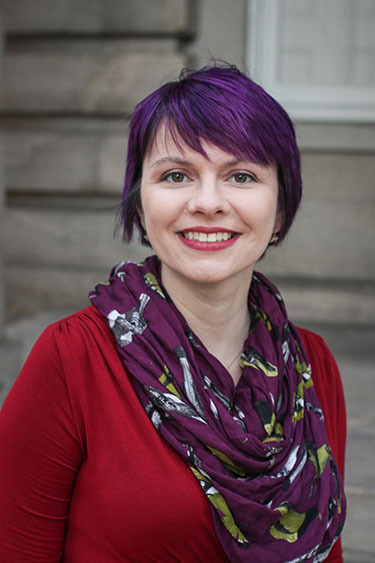 She has taught younger students at several Raleigh studios, served on the education curriculum committee for Carolina Ballet as a curriculum writer and participated in organization of danceSPARK in downtown Raleigh as part of SPARKcon. Laura graduated from the University of the Arts, (BFA/Dance Ed) and Teachers College, Columbia University (MA/Dance Ed). She served as Dance Director at HWB Magnet School for the Arts, FL. and East Millbrook Magnet Middle School, NC. Additional teaching credits include North Carolina Dance Institute, Infinity Ballet, the former Virginia School of the Arts and the regional and national highschool dance festivals in Norfolk, Miami and Philadelphia. Her choreography was commissioned by St. Petersburg College and The Tampa Visitor’s Bureau and was awarded to be performed at DPAC to open for the Radio City Rockette’s Christmas Spectacular. 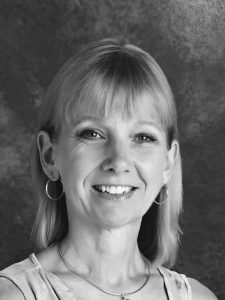 Ms. Stauderman is a Nationally Board Certified Teacher and was one of the first educators to implement the National Honor Society for Dance Arts at both the middle and high school levels in North Carolina. She is presently in her 11th year as the Dance Director at Holly Springs High School. Ashley Cartledge is a public school dance educator at North Pitt High School in Bethel, NC (since January 2011) and certified teacher of BodyMind DancingTM (since October 2017). Ashley received her BFA in Dance Education from East Carolina University (2010) and will soon graduate with her MA in Dance Education from the University of North Carolina Greensboro where she founded the student chapter of NDEO at UNCG. 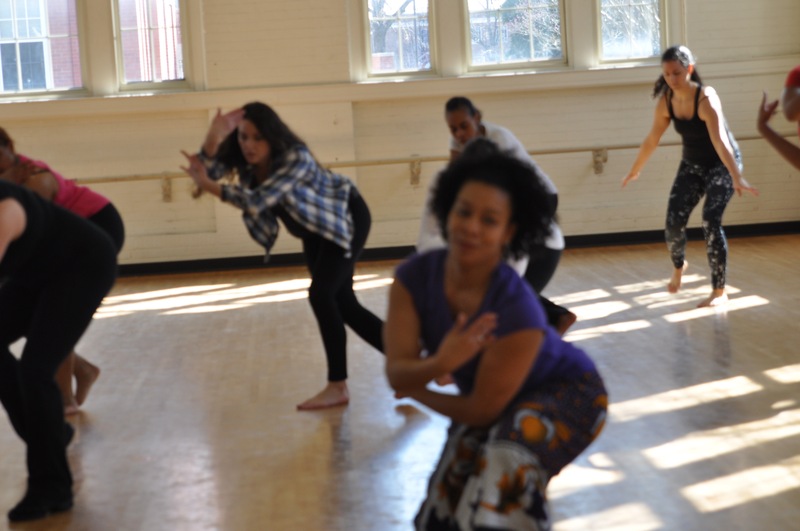 From October 2010 – December 2011 Ashley served as a resident choreographer and dancer for The Distillery, a former arts collective based in Raleigh, NC. In 2012, and 2013, Ashley served on the committee to write the Pitt County dance curriculum and pacing guides for the NC Essential Standards. 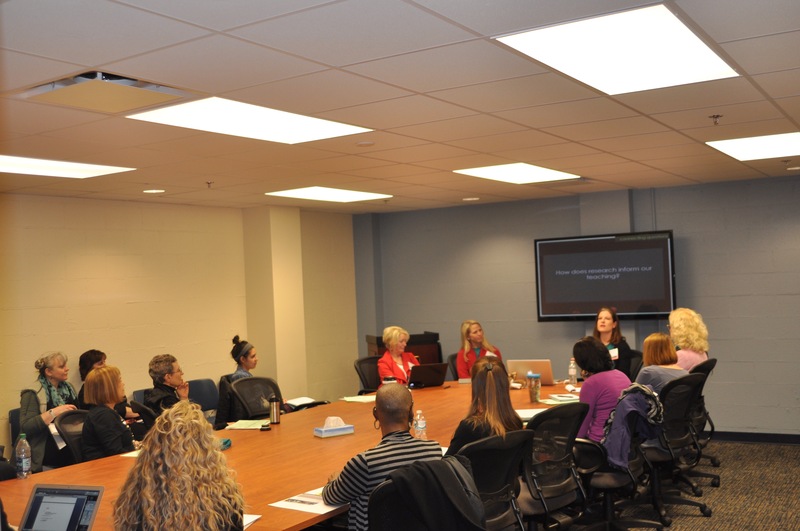 Ashley’s curriculum focuses on critical thinking, cultural/self-appreciation, and the development of kinesthetic intelligence using culturally responsive pedagogy and somatic approaches. Since 2016, Ashley has collaborated with Dr. Marissa Nesbit, in a yearly service learning project which exposes her students to engaging lessons incorporating literacy and social issues. 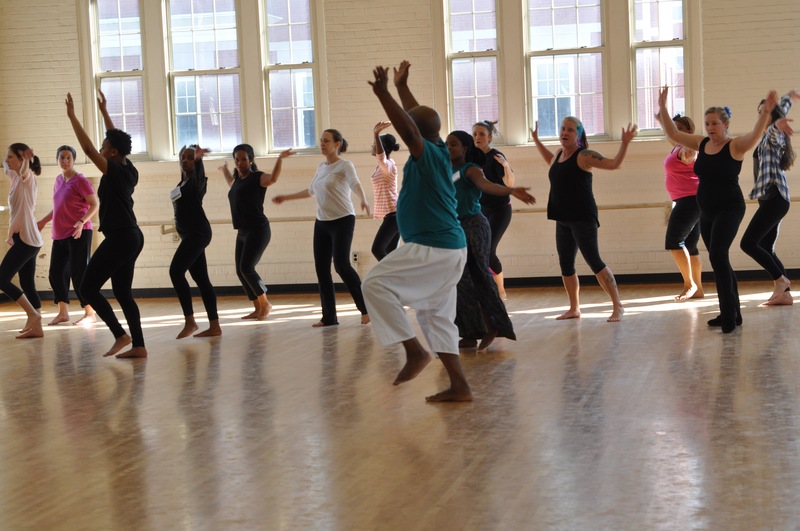 In May 2017, Ashley began a community dance workshop entitled “empowHERment”, an inter-generational workshop for female students and their female role models which incorporated somatics and modern based movement practices to foster mutual trust, respect, and understanding. 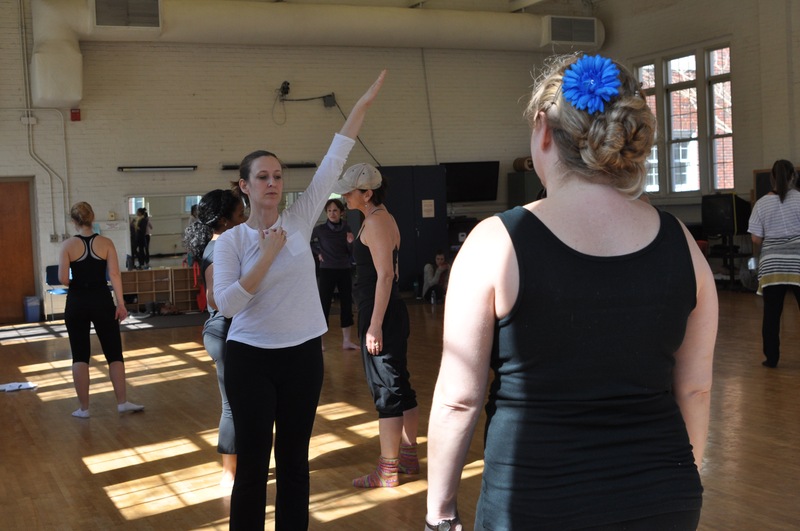 Sarah Adams Bean joined the Meredith College Dance faculty in August 2015 following seven years as a dance teacher at Durham School of the Arts (Durham, NC) and four years as a special education movement teacher at P771@PS225 (Brooklyn, NY). Sarah holds an MFA in Dance from The Ohio State University, an MS Ed in Special Education from the College of Staten Island/CUNY, and an AB in Philosophy from Duke University. Now Dance Education Coordinator at Meredith College (Raleigh, NC), Sarah is intrigued by the learning, identity development, and community-building possibilities of collaborative practice in dance, including collaboration between teachers and students, performers and choreographers, children and adults, and K-12 schools and universities. Sarah continues to perform in the Triangle area with Killian Manning/No Forwarding Address and as a free-lance artist. During the 2018 summer season of the American Dance Festival (ADF), she had the joyful privilege of dancing in both the community group who performed with Ronald K. Brown/EVIDENCE, A Dance Company, and also the trio who performed Gerri Houlihan’s Every Little Movement on the Faculty Concert. 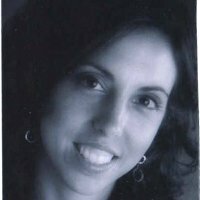 Susan Hill is the Director of the Dance Program and Fine Arts Department Chair at Mills Park Middle School in Cary, NC. She received her Bachelor of Fine Arts in Dance from The State University of New York at Purchase and her teaching licensure from East Carolina University. 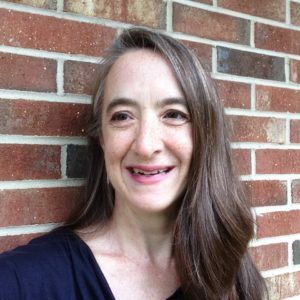 Susan also works with Raleigh Little Theater as an instructor and choreographer, as a guest artist with City Ballet for their annual Nutcracker, and works on various dance related projects for Wake County Public Schools. 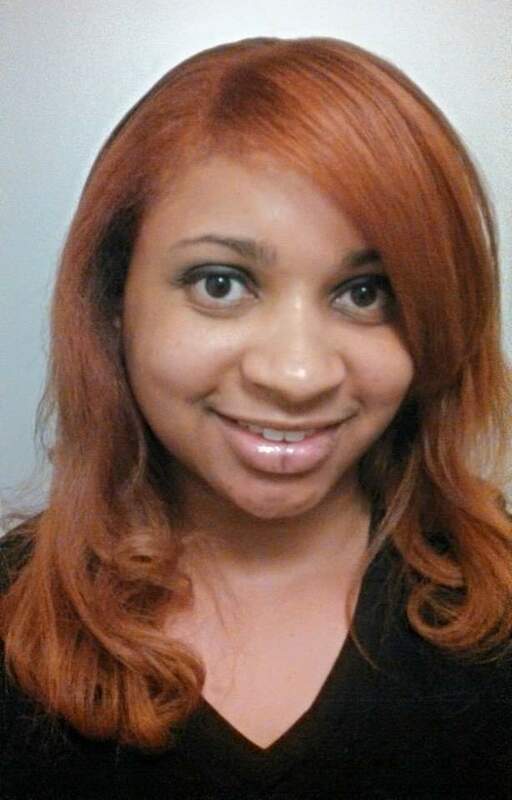 Chandra McCloud-Glover teaches Ballet and Modern at Northwest School of the Arts. In 2012, she received the Cato Excellence in Teaching Award for integrating academics into the arts, leading her to become a member of the Education & Outreach Committee at Charlotte Ballet, on which she currently serves. In 2015, she became a National Artist Teaching Fellow, allowing her to study at ADF and at Ailey. McCloud-Glover then began a Repertory Scholarship Concert, which has given over $200,000 in scholarships, including her “Walk In Your Excellence Scholarship” that allows students to continue their dance training and purchase dancewear. 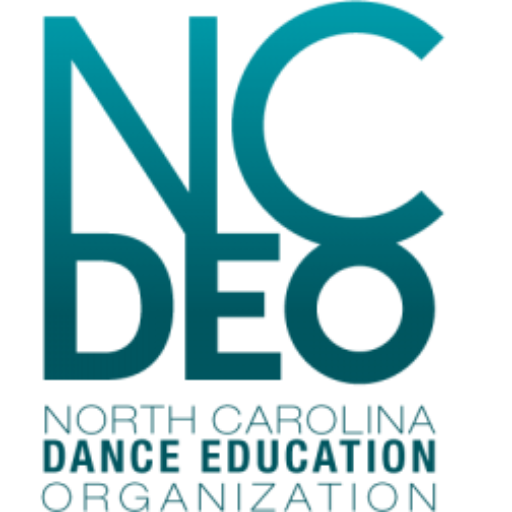 McCloud-Glover currently serves as a Board Member of NCDEO and a Jr. Chapter Advisor for her district’s only National Honor Society of Dance Arts. 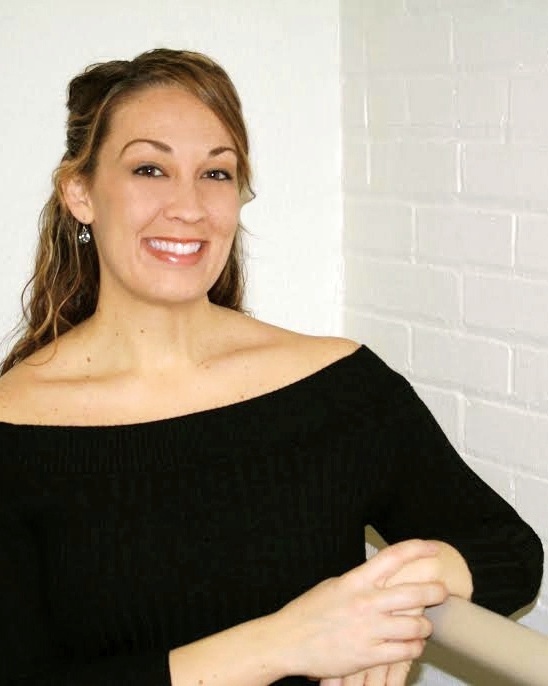 She most recently was named Charlotte Ballet’s 2018 Dance Educator of the Year. 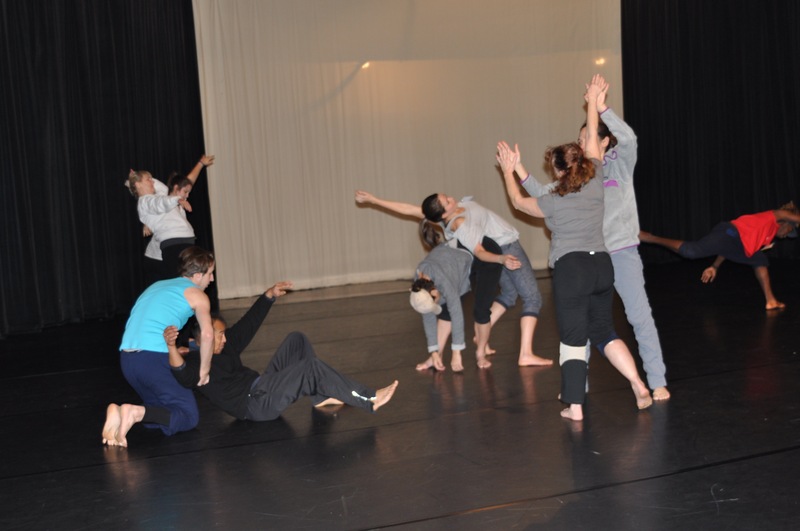 Heather Tatreau has a Master’s Degree in Dance Education from New York University. While living in New York City, she trained in classic modern dance techniques as well as avant-garde performance styles and somatic disciplines. 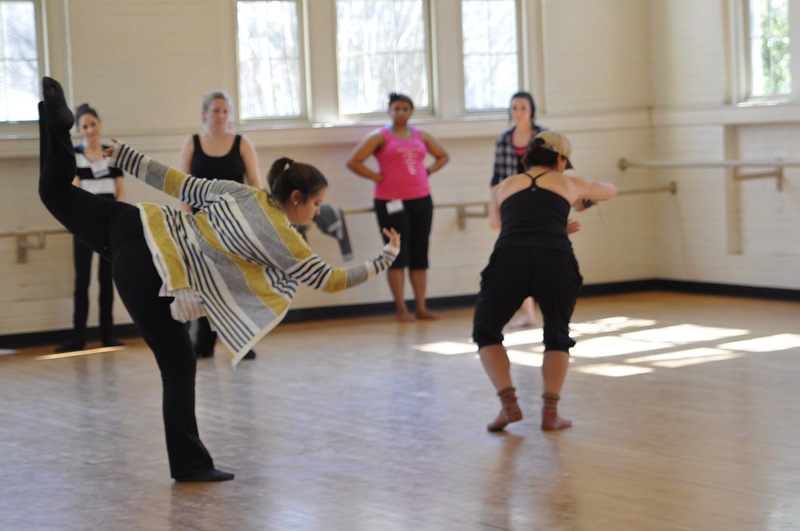 She has been teaching at universities across North Carolina since 2003 and is currently on the faculty at UNC-Chapel Hill, advocating for the inclusion of dance education in the university curriculum. She teaches the modern dance technique and theory courses and has received numerous grants to design interdisciplinary courses across campus. 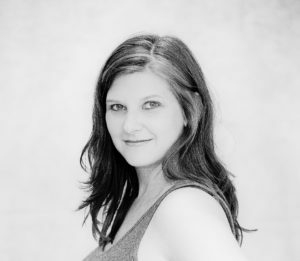 Heather is also a choreographer, director, and movement consultant. Her work as an artist and educator has been showcased in the UNC-CH Department of Dramatic Arts’ Kennan Theatre Company, The Process Series, StreetSigns, The Ackland Art Museum, Carolina Performing Arts, and Tobacco Road Dance Productions. Heather co-curates the Chapel Hill/Carrboro expansion of Stephanie Leather’s SITES project, bringing site-specific performance to her local community.